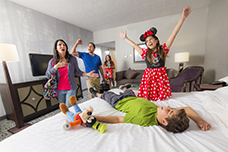 At Anaheim Majestic Garden Hotel, we have vacation packages and specials that are just right for your California weekend getaway, family vacation adventure or business trip. Book Direct and Save $15/night! 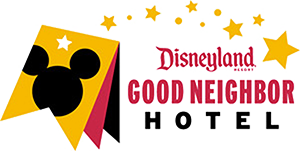 Anaheim Majestic Garden Hotel guarantees you and your family the same great rates you find online when you book direct to receive $15 off our Best Available Rate per night! Booking direct makes reserving your room easy with no extra deposits, fees or penalties. When you book direct, you become a Majestic Club Member, our most valued guests and you are eligible to receive discounts for future stays, special package offers, event invitations and more. Use offer code DIRECT when booking. Some dates not available. Valid for online reservations only using offer code DIRECT. Have questions? 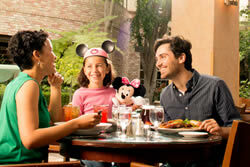 Call our reservationists at 844.227.8535.